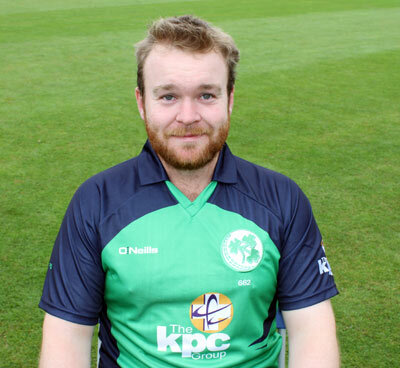 Paul Stirling was in imperious form as the T10 league got under way in dramatic fashion in Sharjah. He dominated an opening stand of 40 in 14 balls with Chris Gayle (13), and he and Middlesex colleague Eoin Morgan put on 50 in just 18 deliveries as Kerala chased down their target with 13 balls to spare. Nepalese leg-spinner Sandeep Lamichhane had taken 3 for 17 as Pakhtoons were restricted to 109 for 5 - Andre Fletcher top scoring with 32. Stirling's pyrotechnics were put firmly in the shade however by an incredible innings by Mohammed Shazad in the other match. The Afghanistan wicket-keeper batsman clubbed 8 sixes and 6 fours on his way to a 16-ball unbeaten 74 to get his Rajputs team off to a winning start. He and New Zealander Brendon McCollum chased down their 95 target in just four overs with a breathless display of power hitting. Not many of the bowlers would have been in a rush to check their analysis after the opening night. It promises to be quite a tournament - if not for bowlers. Stirling and Shahzad are due to face each other on Thursday night. Hold onto your hats!